We have palm crosses here to remind us of the journey Jesus took into Jerusalem. We have Bibles that tell the story, books that tell of other peoples journeys of faith. Amazing stories but most amazing, is God's amazing Grace. We are very blessed ! Thank you for all your support over these last months. To those who have prayed, helped and supported we thank you. Our January Sale has begun with all second hand stock selling at half marked price and 10% off all other stock including cards! We have a huge range of second hand books and it has been a joy to see people reunited with a book they recognise from their past as though it were an old friend! All welcome to thought for the day, Bible reading and prayer of thanks. Life opened the door for the very first time on August 15th 2011. We began with nothing except a conviction that our town needed to keep a Christian presence in the ‘High street’ and that God would supply all our needs. With the help of the George Muller foundation (who own the building) and some second hand books, we put our feet where our faith was. Since then our wonderful Lord and the Christian community in Weston and the surrounding areas have overwhelmed us with their love, prayers and gifts. Thank you all! together, Family Craft sessions, children’s story time, a Macmillan coffee morning, a Harvest food collection for local charities; Somewhere to go and Food Bank, WWJD planning (Weston Worship Jam Dates) and as ticket agent for a Hudson Taylors concert. We have made countless cups of tea and coffee and have been privileged to pray with old and new friends and family in Christ. Another highlight was the day, not long after we first opened, when an entire church from Bristol visited us on their way to the beach! 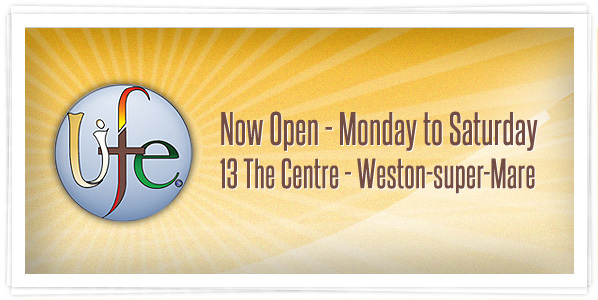 If you haven’t visited us yet please pop in we’d love to meet you! If you’re from a church out of town and you would like us to come to your church or group please ring and we’ll arrange a convenient time to visit, either to talk or to bring a ‘Life on the Road’ Box of books cards etc. If you find it hard to get out we can take your orders by phone or email or even post and with our extensive range of second hand books even if what you’re looking for is out of print there’s a good chance we can find it for you! We are happy (for a small charge to cover postage) to send goods to you by post and have customers from Cheddar, Bristol, Portishead and even as far away as Yorkshire who we have served in this way. 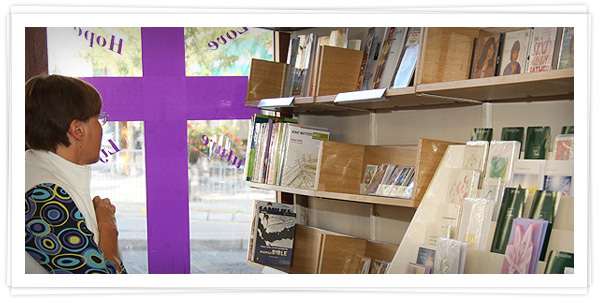 We are currently ordering books for Lent and Easter if your church or House/Cell Group will be looking for Lent courses/books please come in or get in touch to find out more. Let us know what you are looking for. Our card machine has finally arrived and we can now take credit and debit card payments for purchases of £10 or more. LIFE ON THE ROAD – A BIG THANK YOU! We would like to thank all who have hosted Life, at their Church, Pre-school, Parent/carer and Toddler Group and homes over the past weeks and look forward to continuing these links and forging new ones. 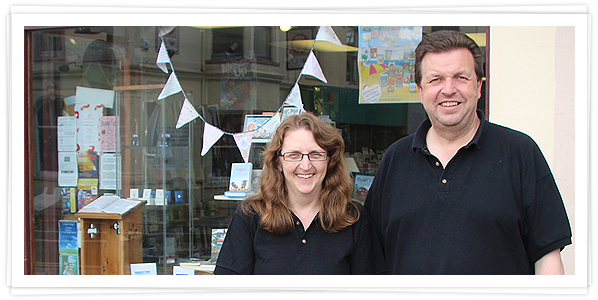 If you would like to know more about hosting a Life bookstall or having a visit from Life please get in touch by phone or email or by dropping into the shop. BATH BOMB’S A BIG HIT! Our most recent Family Craft session was a great success, with so many wanting to join in we had to do two sittings! We are just finalising dates for our next set of sessions, look out for more Family Craft session’s in the New Year. Thursday 22nd December – Late night opening at Life 7-9pm with Hot Chocolate Special! Saturday 31st December – Bible Reading Day at Life Open 9am-4pm, make that New Year’s resolution to read your Bible work! Come in and get daily reading notes, devotionals, Bible in a year or study guides to help you. Share your own favourite Bible passage on paper so we can fill the window with Bible favourites. We would like to take this opportunity to thank all our customers and visitors for your prayer and support over the past four months. A very happy and peace filled Christmas and blessed New Year to all! Our first family craft session on Saturday 22nd October was a great success with families. While the children (and some adults) enjoyed painting glass tea-light holders the parents enjoyed a hot drink and a chat. Our second session on Saturday 19th November was just as good. Adults and children enjoyed making silk-painted Christmas cards, with some beautiful results. Pictures to follow! Our next craft session will be Saturday 3rd December, 2-4pm - Make your own bath bombs, ideal for Christmas presents! Please ring, email or pop in the shop to book your place. 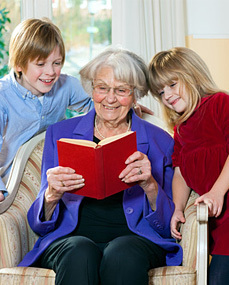 Our first Children's Book Club took place on Saturday 29th October. At the book club we read a story and had an activity based on the story, our first was 'All Aboard With Noah'. Our second session took place on Saturday 19th November, where we read 'The Busy Christmas Stable'. We are prepared for all ages of children, so come along to the next one, date TBC, we do need the children to be accompanied by an adult please. Other book clubs will be starting very soon. We want to thank all our customers for their patience whilst we have been 'cash only'. We have a card machine on the way, but until it arrives we are able to take card payments via PayPal. 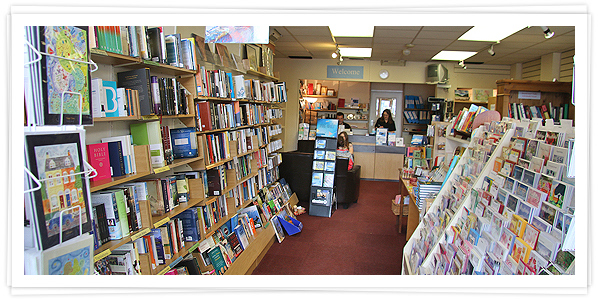 We have a steady flow of new CD's, DVD's, books and bibles arriving, also a wide range of cards, gifts, crafts, and even socks! If you're after something specific, you can phone, email or pop in to place an order. If it's no longer in print then we can endeavour to find you a second-hand copy. We can, at cost, send out orders if you can't make it into the shop. Postage is free on larger orders. We currently have some great offers on at the moment including: 3 for 2 Lion & Candle Children's Christmas Books and Buy One Get One Half Price on BRF Children & Adult's activity books. We also have some great offers on CD's including £2 off selected Christmas CD's and other CD's with up to £10 off. 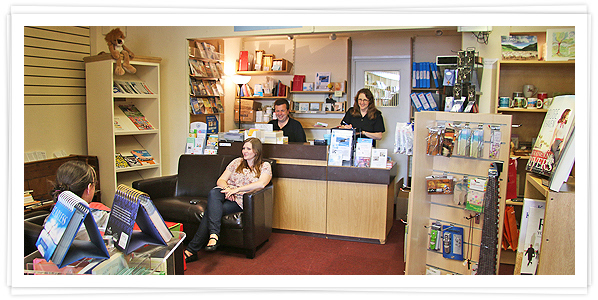 Can we let you have a box of books, cards & gifts on Sale or Return for your Church, club or event? We've been sending out crates to Churches and Christmas fayres which have been very successful. Are you based out of town? Do you run any children's, young people's clubs, toddler groups, pre-schools, ladies or gents fellowships or coffee mornings? Ask us about a visit to your Church/group. The next 'Life Support' prayer meeting will be Thursday 15th December at 7.30pm. 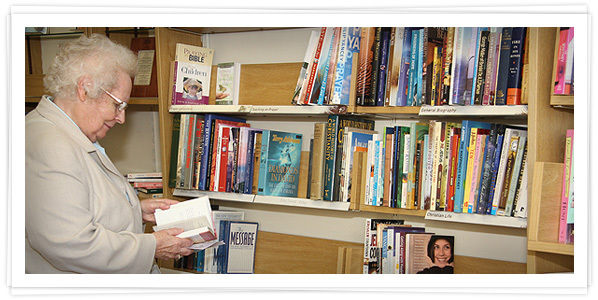 'Life' will be holding a bookstall at the up-coming conference at St Paul's WsM on 12th November 2011. Visit St Paul's Website for more information, times, and how to book for the event. Andrew spoke at Christchurch this Sunday about the work and vision of 'Life'. You can download the Podcast from Christchurch's website here. Thank you to all who contributed to the harvest collection for ‘Somewhere To Go’ and ‘Weston Food Bank’ we were pleased to be able to hand over five boxes to each of these fantastic causes! Another thank you to all who supported our Macmillan coffee morning which raised £50 for Macmillan Cancer Care. It has again been an exciting month for us with new stock arriving almost daily, including Christmas cards, books, CD’s, DVD’s and gifts. We now also have ‘Life’ Gift vouchers available, redeemable in store. We are still able to take your orders for anything we don’t have in stock (subject to availability). Remember we are able to post your orders to you at a small extra cost if you find it difficult to get into the shop. WOULD YOU LIKE A VISIT FROM LIFE? We would like to be able to come along and visit with you at your church, to talk about the ministry at Life. Who comes? What happens? Why? Feel free to call or email to arrange for one of the team to visit. WHAT’S ON IN YOUR CHURCH? We would love to hear from you, what’s on in your church, so that we can advertise special events and regular services within the shop. We often have people ask us for local church information, for example where they can find an Alpha course, or if they’re holidaying here, where they can find a local church which suits them. 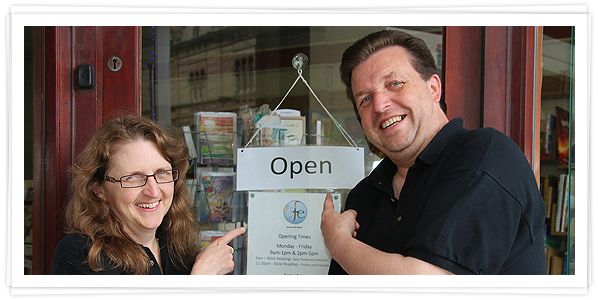 We would love to be able to point people in the direction of your church. Are you based out of town? Do you run any children’s, young people’s clubs, Toddler group, Pre-school, Ladies or Gents fellowships, coffee mornings? We are also holding three Family Craft Workshops at ‘Life’, in the run up to Christmas, with local artist Sandie Skyrme. Any of these make great little Christmas gifts for family, friends or teachers! Please just let us know if you intend coming so that we can be sure to have enough equipment/ingredients for all. Our first book club ‘The Children’s Book Club’ begins on Saturday 29th October at 11am. There will be a story and a linked activity for accompanied children. All Book club Members will receive a Membership card entitling them to 10% discount on book and Bible purchases in ‘Life’. Begins on Friday 4th November 2011 at 11am. If you would like to be a part of this study group please email, ring or pop in to the shop to let us know you are coming. The book costs £5 but can be purchased at a 10% discount for those attending the group. More Book Clubs coming soon!